Once you've examined your other options and determined that a short sale is the best course of action for you, contact your lender and ask for their short sale package.They'll send you paperwork to fill out and a list of documents you must provide. Your agent can do this for you, if you wish. Since that won't be delivered instantly, use my basic outline of what's required and begin gathering your information while you wait. Remember that the short sale package must be submitted with any offer /request for short sale. So don't procrastinate! Get this information together and ready before you even list the house. Your short sale package should include an "Authorization to Release Information," and this is the document to address first. This gives your real estate agent authorization to speak with your lender or lenders on your behalf. Fill out one form for each lender. If your lender didn't provide the document, ask your agent to get it for you. The next item to address in your short sale package your hardship letter. It's a letter to your lender that explains why you are no longer able to keep up with the mortgage payments on your Los Angeles area home. It tells about the changes that have taken place since you signed your closing documents – and shows that you want to meet your obligations but simply cannot. If you have paperwork to support your hardship claim, make copies and include them with the letter. This could be a layoff notice, a divorce decree, medical bills, notice of a job transfer, or proof of any other event that has caused a reduction in your income. For insight into what your lender will consider an acceptable hardship, read my post Short Sales In Los Angeles, California – Am I qualified to short sale my Silver Lake home? Along with your hardship letter and supporting documents, you'll need to submit a Seller’s statement of financial information. This will be done on a form provided by the lender. Fill it out as completely and accurately as possible. 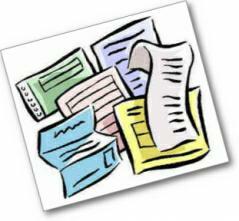 You will need to provide information on your bank accounts, savings/retirement, income, assets, expenses etc. In addition, you'll need to include copies of: • Your W2's for the last two years • The last two months’ pay stubs • The last two months bank statements • The last two years tax returns Each document must have your name and loan number written neatly at the top. Once you have everything together, give it to your agent for submission with your request for approval of a short sale. Your agent also has documents to prepare for your short sale package. These include the listing agreement, a page showing the property is listed in the MLS, repair estimates, comparable property listings, payoff amounts (if there are multiple lenders) and an estimate of closing costs to be paid for by the bank. 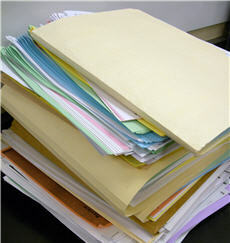 Other items, such as termite and physical inspection reports, will be included depending on what you and your Realtor have decided to do prior to submitting offers to the bank.Knowing that a mistake in submission will cause unnecessary delays, your experienced Los Angeles short sale agent will check and double-check the short sale package to make sure there is nothing missing prior to submitting it to the bank. If you are in a tight position and are not sure if you qualify for a short sale in Silver Lake or surrounding areas , please contact me directly at 213-215-4758 and I will go over the specifics of your situation with you and make recommendations on your best course of action. For more information on shorts sales in Los Angeles County and buying or selling property in Silver Lake, Echo Park, Los Feliz, and surrounding areas, contact me directly at 213-215-4758 or check out LApropertySolutions.com Jenny Durling L.A. Property Solutions 213-215-4758 DISCLAIMER: This article is intended for informational purposes only. None of the information contained in this article should be taken as legal advice. Readers are advised to seek legal and or tax counsel regarding any information provided herein as they relate to specific personal situations a reader may face. Further the information herein pertains to California only. Deficiency laws will differ in each state.